Conas fógraí a chruinniú ar aghaidh i Outlook? Scríofa ar 21 2016 Nollaig . Mar shampla, cuireann tú cuireadh cruinnithe chuig roinnt freastail in Outlook, agus cuireann ceann de na freastail an cuireadh cruinnithe chuig duine eile ar aghaidh. Sa chás seo, tú féin, gheobhaidh úinéir / eagraí an chruinnithe fógra ar aghaidh mar chruinniú thíos. Beidh sé annamh i gcásanna áirithe. Mar sin, conas a d'fhéadfá é a mhúchadh? Tabharfaidh an teagaisc seo treoir duit chun an fhógra a chur ar aghaidh céim ar chéim. Go ginearálta, is féidir linn riail a leagan síos chun ríomhphoist a chur ar aghaidh go huathoibríoch chuig na faighteoirí sonraithe, mar shampla do chuntas ríomhphoist eile, do Gmail, nó do chomhghleacaithe, etc. Ach, tá a fhios againn go dtógfaidh sé le fada an lá riail saincheaptha a chumrú Outlook. Anois, cuirimid Kutools isteach ar Outlook's (Uathoibríoch) aghaidh gné, is féidir le riail uathoibríoch ar aghaidh a chur le cúpla cad a tharlaíonn nuair a bhíonn sé ach amháin. Cliceáil le haghaidh triail saor in aisce 60 lá gan teorainn! 2. Anois, tá an leathanach logála isteach d'App Gréasáin Gréasáin Outlook ag oscailt, cuir isteach d'ainm úsáideora agus do phasfhocal chun logáil isteach. 5. 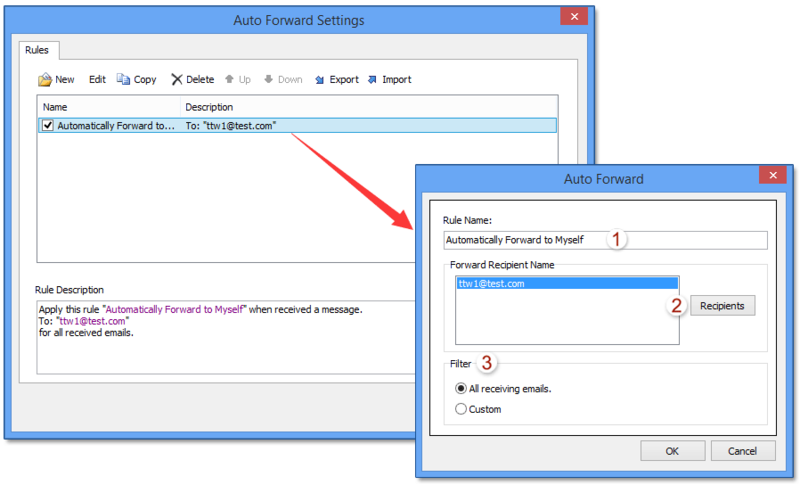 Logáil isteach d'App Gréasáin Outlook. Mar sin féin, ní bhfaighidh tú an fógraí ar aghaidh i do Outlook ar bith níos faide. Leid: Sa Video seo, Kutools Cuirtear an cluaisín leis Kutools le haghaidh Outlook. Más gá duit é, cliceáil anseo triail saor in aisce 60 a bheith gan teorainn!